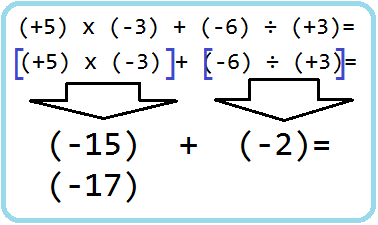 A rule to remember about zero pairs are, " When subtracting something that isn't there, use a zero pair"
When multiplying integers always remember "The Sign Rule" . 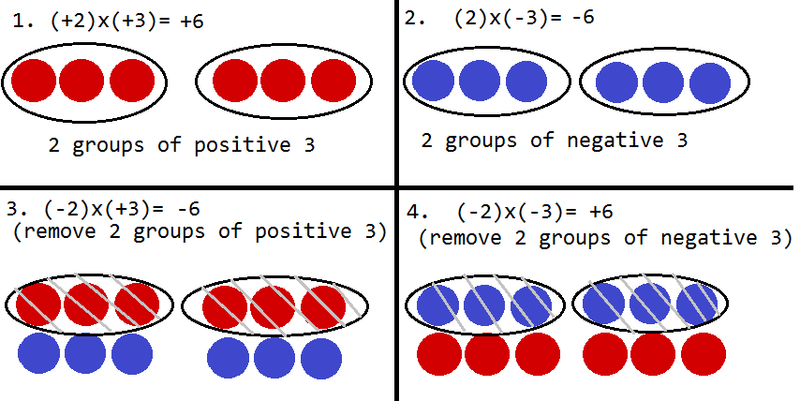 The rule is that if there is an odd numbers of negatives in the question, the answer will be a negative number.If there is an even numbers of negatives in the question, the product will be a positive. If there is only positives the answer will always be a positive. You can also use number lines to show your answer. 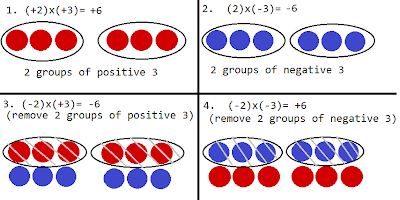 Partitive Division is when you know the total number of groups, and you are trying to find the number of items in each group. 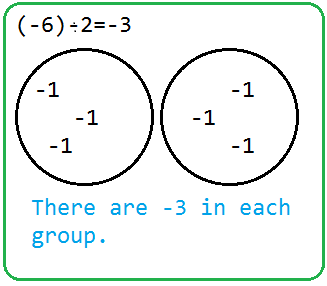 Quotitive Division is when you know the total items that are in each group and you're trying to find the number of groups & sharing you total with groups. there are no negative signs therefore the answer will be a positive. there is an even number of negatives meaning the answer will be a positive. the same goes for this.